Tyre review data from 198 tyre reviews averaging 69% over 3,333,928 miles driven. Overall - For a tyre which is fitted to cars like the Ferrari 430, the RE050A has a very poor result. Perhaps Bridgestone use a different compound for the Russian market as it was a full 10 metres behind the best tyre in the wet braking test. Bridgestone have recently release the S001, and there is rumours of the S04 coming to Europe. 2016-10-01 - Brigestone potenza RE050A it can work for all season? The RE050A is a summer tyre, and will offer very little performance in snow or ice. 2016-11-24 - Are they directional/handed? The Bridgestone RE050A is an asymmetric tyre. 2016-12-22 - Is the Bridgestone Potenza RE050A a "run-flat" tyre? 2019-03-10 - Hi, I have a staggered set up on my MB CLK It has an open diff and appears to favour one tyre over the other indicated by faster wear on the left side. Being staggered I cannot swap tyres front to rear to balance tyre wear. Can you suggest a tyre that can be swapped left to right to balance tyre wear on the rear of the car. Tyre size is 255/35/18 Thanks in advance Gav. The RE050A is an asymmetric tyre so can be swapped left to right. All asymmetric patterned tyres can be, as they are mounted in a certain way on the wheel. 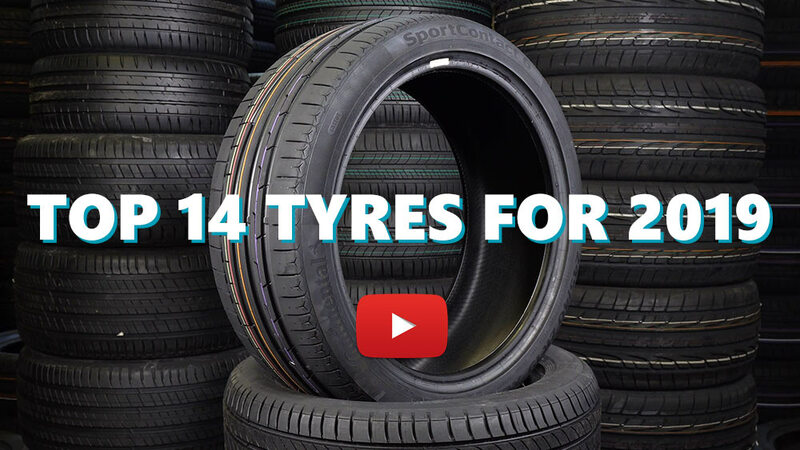 Available in 55 tyre sizes - View all. I did 57,000 KM (35,500 miles) on a set of these tyres before they were due to be replaced. My car is a heavy car (nearly 2 tonnes) and was advised to expect 20,000 to 25,000 KM from them. At 30,000 KM they were still going strong. I had them rotated and balanced every 5,000 KM since day 1 which i think made a huge difference to their longevity. Tyre pressure was a constant 37psi for the whole of this time and the tyres were filled with nitrogen gas from day 1. These tyres did the job. Not the best I have ever had, but with a bit of care they were made to work. The car is capable to doing 0 to 100 KPH (60 MPH) in 5.2 seconds and i did not always take it easy with the driving. Tyre wear was even on all 4 wheels. Have you driven on the Bridgestone Potenza RE050A tyre? Please help millions of other drivers make an informed tyre choice and pick the correct tyres for their car by submitting your review of the Potenza RE050A. I've had those on my Audi quattro and they put a smile on my face every time , the Grip is impressive on both surfaces wet and dry , they are really good until they worn out and it happened so quick , it's worth to mention I'm an aggressive driver and I live in U.A.E where it's mostly sunny . I've done about 44000 km on them and then I had to replace them and I did it with a cheaper set of Chinese tires the difference was distinctly clear and I felt like I lost some of my car bhp due to the huge gap in the grip between both .Conclusion : if you are looking for performance regardless of money and comfort then go for them otherwise you should probably think of something else. i had it oem on my insegnia 2014 , made 85000km and can do more maybe 120000km as my tread still around 6mm depth ..it was great for the first 20k then it became noisy and lost grip .. i wanted to change it but some way i didn`t .. after about 40k dry grip and handling improved and noise became some what less .. wet grip is not what i expected as it has gone early about 20k .. but for me it was not a problem i live in a hot country .. it was not great tyre but it was doing suffecient enough not to replace it , but now after 85k ... i just sais enough. for buying decision there is better choice for less money as mechline primacy4 or continental sportcontact 5. I have put these on now a second time as I liked them enough to do so. Very robust tyres, wear evenly and in the dry give confidence especially under heavy braking. Also, I've gone over some very bad roads and some of these roads had huge potholes and these never punctured. Good pattern for water displacement but I would say the grip levels in the wet aren't what you might get from a uniroyal. Noise levels reduced with the re050 compared to a budget tyre fitted by previous owner. My car is quite heavy, not that powerful and has sport suspension and I have to try quite hard to break traction in the dry.